Play tennis with a pro and make new friends at CopperWynd Resort & Club’s Sip’N’Serve. Whether you’re just now dusting off your high school racquet or if you have played a weekly match for years, CopperWynd’s Sip’N’Serve program encourages people to enjoy an active lifestyle while having fun playing tennis in a social environment. Each Tuesday at 6:30 pm, the tennis pro leads the group in 90 minutes of match play, games and instruction. Afterwards, players are invited to enjoy happy hour prices at Flourish, the bar and restaurant at CopperWynd Resort. 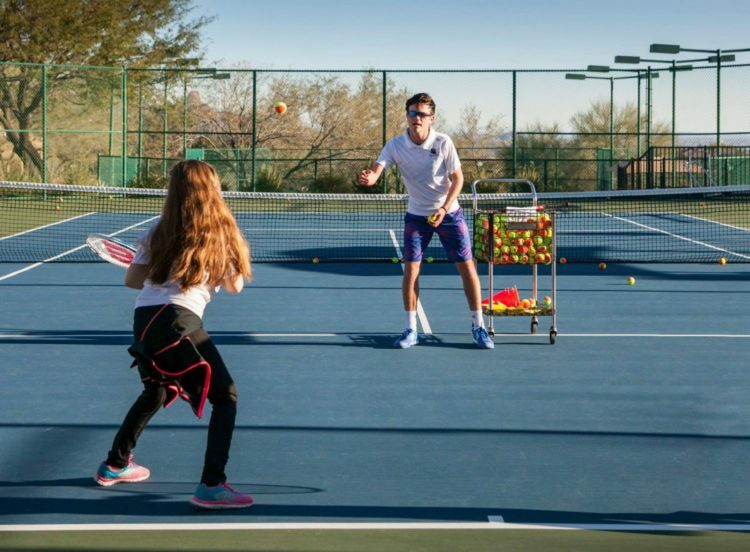 CopperWynd Resort offers one of the Valley’s best tennis experiences, with nine lighted, recently resurfaced tennis courts and inspiring mountain views at 2500 feet elevation. The program is run by Cliff Drysdale Tennis, one of the nation’s leading tennis operators. For questions or to sign up, contact Dave Phillips – d.phillips@cliffdrysdale.com or 480-333-1842.